Get notified when Eric Church tickets are available! 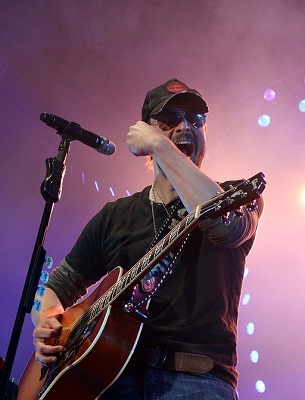 Eric Church is a country music singer who hails from Nashville, Tennessee. He has been performing since 2005 and released his debut album, entitled Sinners Like Me, back in 2006. Since then, he has had numerous number one hits and has toured the world several times. Some of Eric Church’s most notable songs include “Mr. Misunderstood,” “Like a Wrecking Ball,” “Record Year,” “Springsteen” and “The Outsiders.” If you’d like to be in the audience at an Eric Church concert, you can check out the list of upcoming tour dates above and follow the links to buy Eric Church tickets online.